On the surface, toothpaste seems easy to decipher. Just grab a tube and go. But with the ever growing number of choices out there is it really that cut and dry? Before toothpaste people used pumice, eggshells, twigs and even just their own fingers! Anti-cavity — A majority of options will contain fluoride. It adds a layer of protection to your teeth. Can be harmful if swallowed regularly. Sensitive Formula — Best if you experience pain / discomfort when eating and drinking hot or cold foods and drinks. Anti-gingivitis — Helps reduce oral bacteria and can be very effective at stopping gingivitis at its source. Whitening — These are common, but aren’t the safest option. They usually contain abrasive ingredients and can wear down enamel. Children can swallow more to face what is recommended for an entire day from all sources. Be sure to ask your dentist for their thoughts on fluoride. If Toothpaste Is Good… Is Even More Better? 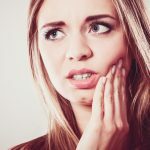 From tooth extractions to wisdom teeth problems and everything in between, we’re here to help you if you need an immediate dentist, we can even help if you don’t have dental insurance. Get help finding weekend dentists by checking out our list of Sunday Dentists. Our website is filled with dentists that can cater to what you need. 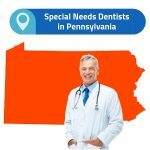 If you are a loved one has any special needs, we can help you find the perfect special needs dentist. 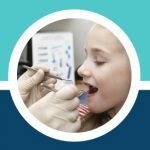 Dentists for autistic patients or Down syndrome patients are available to you and we are dedicated to helping you find the right one.